Co-Chair of the Firm's Antitrust and Competition Litigation Practice, Jay Himes is experienced in all facets of antitrust and complex litigation generally. With more than 40 years of experience, Jay focuses on representing plaintiffs in price-fixing class action cases and protects businesses from anticompetitive activities. 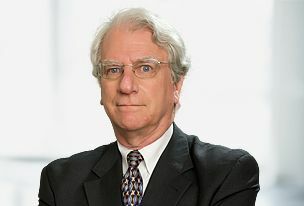 Jay is the 2014 recipient of the William T. Lifland Service Award, presented by the Antitrust Section of the New York State Bar Association for distinguished service. Chambers USA reports that sources described him as “a walking encyclopedia of case law…thoughtful, well read and a first-rate lawyer," and The Legal 500's sources called him "a very solid and highly experienced antitrust lawyer." A regular speaker at conferences focusing on such subjects as antitrust, class actions, international litigation and arbitration, trade law and data protection, Jay has authored many conference papers and published articles. He has lectured annually on U.S. cartel and private action enforcement at the Zurich University of Applied Science's international competition and compliance programs offered in Geneva and Winterthur, Switzerland, to foreign competition law officials and practitioners. He also has presented at conferences in Amsterdam, Antigua, Dublin, Hanoi, Krakow, Lisbon, Montreal, Paris, Sao Paolo, Seoul, Vienna, Winterthur, and Zurich, as well as in the United States. Prior to joining Labaton Sucharow, Jay served for nearly eight years as the Antitrust Bureau Chief in the New York Attorney General's office. In that role, he served as the States’ principal representative in the marathon 2001 negotiations that led to settlement of the governments’ landmark monopolization case against Microsoft. Thereafter, Jay partnered with US DOJ officials to lead the Microsoft judgment monitoring and enforcement effort, an activity that continued throughout his time at the Attorney General's office. During his tenure as New York's chief antitrust official, Jay also led significant, high-profile antitrust investigations and enforcement actions. These cases included: In re Buspirone Antitrust Litigation ($100 million settlement); In re Cardizem CD Antitrust Litigation ($80 million settlement); and In re Compact Disc Antitrust Litigation ($67 million settlement). Under Jay's leadership, the New York Bureau secured the two largest antitrust civil penalties recoveries ever achieved under the State's antitrust statute. Prior to serving in the Attorney General's office, Jay practiced complex litigation for 25 years at Paul, Weiss, Rifkind, Wharton & Garrison LLP. There, he represented the 12 Federal Reserve Banks as plaintiffs in a price-fixing case against the nation's leading armored car companies, and defended a Revlon healthcare company in a series of price-fixing cases that spanned nearly a decade. Additionally, Jay handled a wide range of litigation, including securities class actions as well as contract, construction, constitutional, entertainment, environmental, real property, and tax litigation. Active in pro bono matters, Jay worked with the New York Civil Liberties Union, NAACP, and National Coalition for the Homeless, while also representing inmate and immigration asylum clients. Jay is a member of the American Antitrust Institute advisory board, the U.S. advisory board of the Loyola University Chicago School of Law's Institute of Consumer Antitrust Studies, the MLex advisory board, the editorial advisory group of the Antitrust Chronicle, and the Lawyers’ Committee for Civil Rights Under Law. Jay is the chair-elect and CIO of the New York State Bar Association’s (NYSBA’s) International Section. He also is a past chair of NYSBA’s Antitrust Section, and served a four-year term as the Section's delegate to the House of Delegates. Jay currently is a representative to NYSBA’s sections caucus. and co-chairs the antitrust committees of both the State Bar's Commercial and Federal Litigation Section and its International Section. Jay is also a member of antitrust, litigation, and intellectual property groups in the American Bar Association. Jay graduated from the University of Wisconsin Law School, where he served as the Articles Editor of the Wisconsin Law Review. Following law school, he pursued independent study at the University of Oxford in England.